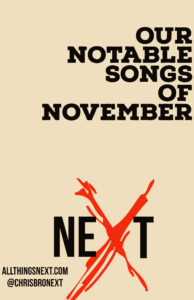 What was your favorite song that played on NEXT during November? Thanks for listening. I can’t thank you enough. Next is your place for new music discovery. This week we look back. A quick rewind. A review of the past month. A return to the glorious new music that was played on NEXT this month. A quick way to catch up. 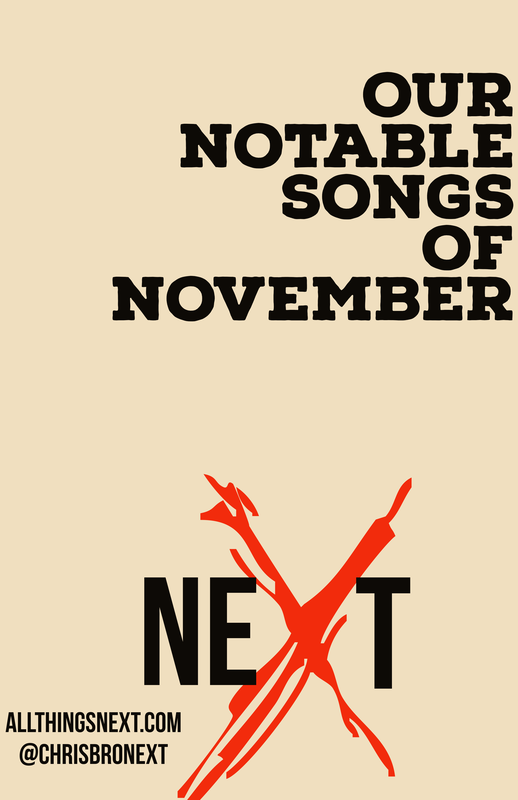 As always, our goal is to find you – a NEXT, new favorite song. Let us know how we are doing. If we, in fact, do find you a NEXT, new favorite song. Also, if you wouldn’t mind sharing it with the class. I always like to hear what you like to hear. Does that make sense? New music discovery is important and thank you for doing your part. Thank you for listening. Thank you for sharing your favorite song. Thank you for everything. Please support these bands…or we wouldn’t have bands like this around to support. Buy an album, or a ticket to a show, or a tee shirt, or…something from them. Thank you. Or better yet do all these things.